Percona announces the release of Percona Server for MySQL 5.6.37-82.2 on August 25, 2017. 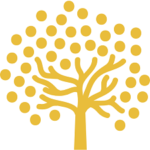 Download the latest version from the Percona web site or the Percona Software Repositories. You can also run Docker containers from the images in the Docker Hub repository. Percona announces the GA release of Percona Server for MySQL 5.7.18-14 on May 12, 2017. Download the latest version from the Percona web site or the Percona Software Repositories. You can also run Docker containers from the images in the Docker Hub repository. 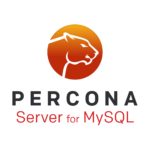 Percona announces the release of Percona Server for MySQL 5.6.36-82.0 on May 12, 2017. Download the latest version from the Percona web site or the Percona Software Repositories. You can also run Docker containers from the images in the Docker Hub repository. 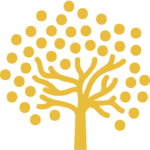 Percona announces the GA release of Percona Server for MySQL 5.7.17-13 on April 5, 2017. Download the latest version from the Percona web site or the Percona Software Repositories. You can also run Docker containers from the images in the Docker Hub repository. Please join Percona’s Principal Technical Services Engineer, Sveta Smirnova, Senior Software Engineer, George Lorch and Software Engineer, Vlad Lesin as they present TokuDB Troubleshooting on March 22, 2017 at 11:00 am PDT / 2:00 pm EDT (UTC-7).